Hello! 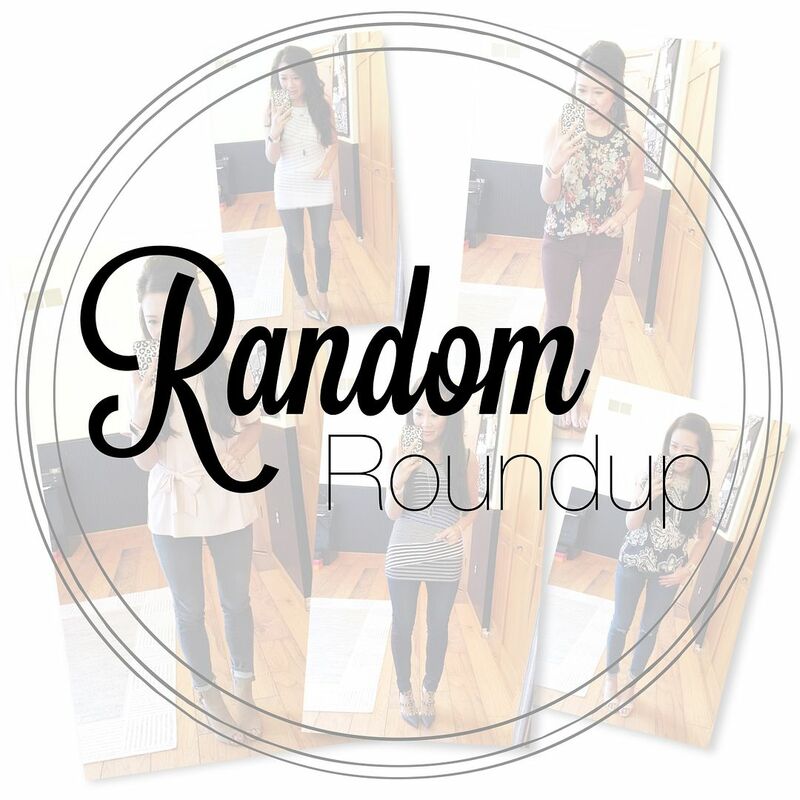 You've made it to Friday which means I have another edition of Random Roundup for you! If you've never been here before, this is the day I pull together a random handful of outfit selfies and share them on the blog. These are the outfits that I've worn in real life that don't get glorified with proper 50mm lens photos! 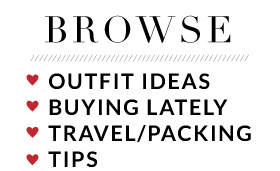 I'm linking to only those items that are still available or I know of a similar option readily available. Let's get started! 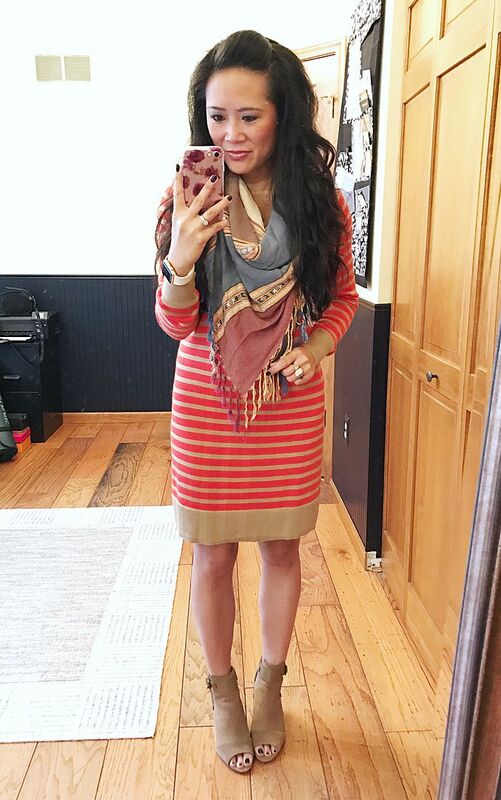 It's officially fall when I can pair sweater dresses with scarves for the easiest of outfit combos! And, I finally bought myself a new scarf for the season! I have so many good ones in my collection already, but it's nice to introduce new blood into the mix. This fringe number is only $25 and has all the fall colors you could ever need! 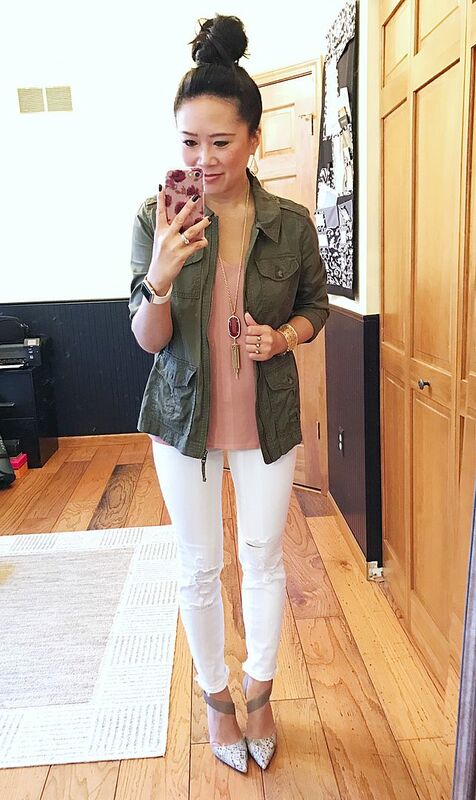 I just realized I already shared this outfit in Tuesday's post about all of the utility vests!! Oh well, now you get a better look at it. I loved making the top part of this outfit matchy/matchy. I got a lot of comments from people thinking this was an actual jacket, not a vest. I'm so sneaky! Jacket: Express | Necklace: Kendra Scott "Rayne" (gifted) | Top: Express (similar here) | Bottoms: JBrand | Heels: Vince Camuto "Carlotte"
I will admit that the lighter palette here makes this outfit look a little more spring than fall, but I did add in the wine colored necklace to twist the look a little bit more into autumn! I also want to do this same color combo with my pleated blush skirt that I have, with a white tank and a longer, olive colored anorak jacket. Stay tuned! This is the outfit I wore to the Naturalizer event I spoke about in Monday's post. I absolutely loved wearing this outfit. 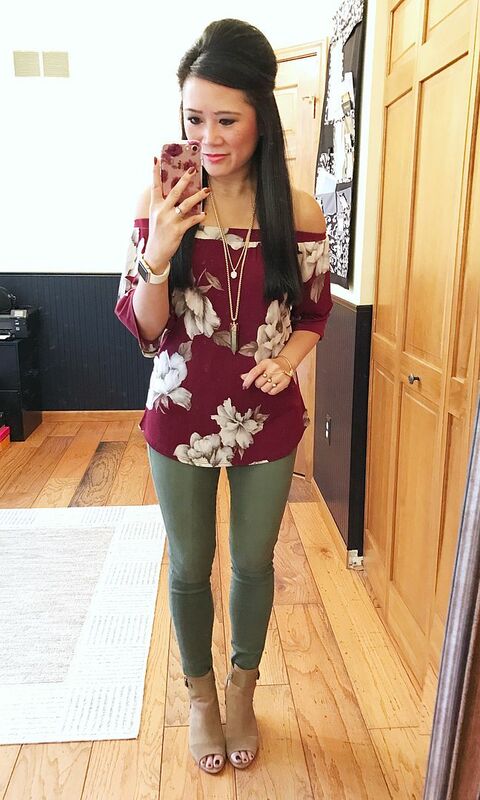 I wish this floral top wasn't sold out because it's a really good piece that I know you guys would enjoy to wear yourselves! 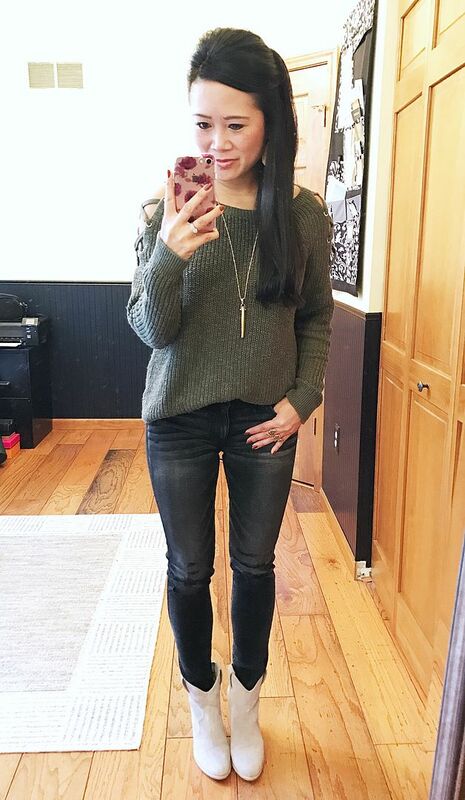 But let's talk about these olive skinnies for a bit! I love that they are fitted all the way down to the ankle which makes them such a good candidate to wear with booties. And the color of them is amazing. Speaking of olive and speaking of new American Eagle skinnies! I hope you guys snagged this sweater because the sizes are dwindling by the minute. You can see the proper blog photos of it here. I am OBSESSED with this sweater. I wish it came in other colors besides black because I would totally get more. I just tend not to wear black as much, which is the only reason why I'm not 100% sold that I need that color, but, don't think I'm not still stalking it!! I got these jeans because I needed a replacement pair of destroyed and faded black skinnies because my other pair is a bit baggy now. These are perfect - also fitted through the ankle and great with booties!! That's all I've got for you today! I have a super busy weekend ahead of me, so if you'd like to follow along, you can do so on Snapchat! 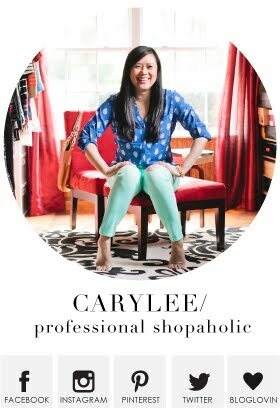 My handle is the same there as it is in Instagram - carylee07. super cute outfits as always and have a fun weekend! Love all your outfits - that first dress is so cute!